Left picture: #3 Tyler Williams shot is deflected over the net and out of play. Right picture: #7 Ethan Scardina and #15 MaxKenzie Merriman celebrate #28 Nick Marsh’s second goal. 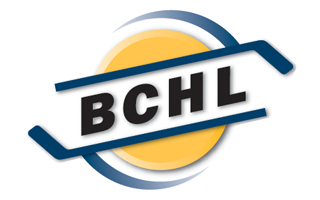 PORT ALBERNI — The Clippers won a wild game 6-5 over the Bulldogs on Friday. Nanaimo got off to a good start with an early goal by Sammy Steele, but the Bulldogs replied with a Ryan Miotto tally within the first five minutes. Dawson Tritt snuck a shot behind Jordan Naylor to give Alberni Valley the lead in the back half of the first. The Clippers came out on fire to open the second period with Marcus Mitchell and Ethan Scardina beating John Hawthorne by the 1:03 mark. Scardina was credited with a deflection goal later in the frame and then AP Nick Marsh got his first BCHL goal to put Nanaimo up 5-2. Affiliate player #28 Nick Marsh leads the line to the bench to celebrate his second goal. Josh Zary closed the gap to 5-3 before the end of the second period, and Michael Hodge made it a one goal game early in the third. Nick Marsh connected on another point shot to extend the lead to 6-4 half way through the third, but Grayson Valente put a scare into the Clippers when he made it 6-5 less than a minute later. Nanaimo was able to lock it down after that to preserve the victory and win the season series 5-3. The Bulldogs outshot the Clippers 31-25 and neither team was able to score with the man advantage. Nanaimo only had one power play while Alberni received four. Friday’s Three Stars were Dawson Tritt (1 goal, 2 assists), Ethan Scardina (2 goal), and Grayson Valente (1 goal, 1 assist). 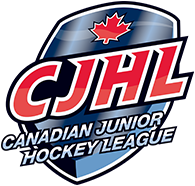 On Saturday the Clippers host the Merritt Centennials at 7 p.m. at Frank Crane Arena. © 2019 Nanaimo Clippers. All Rights Reserved.